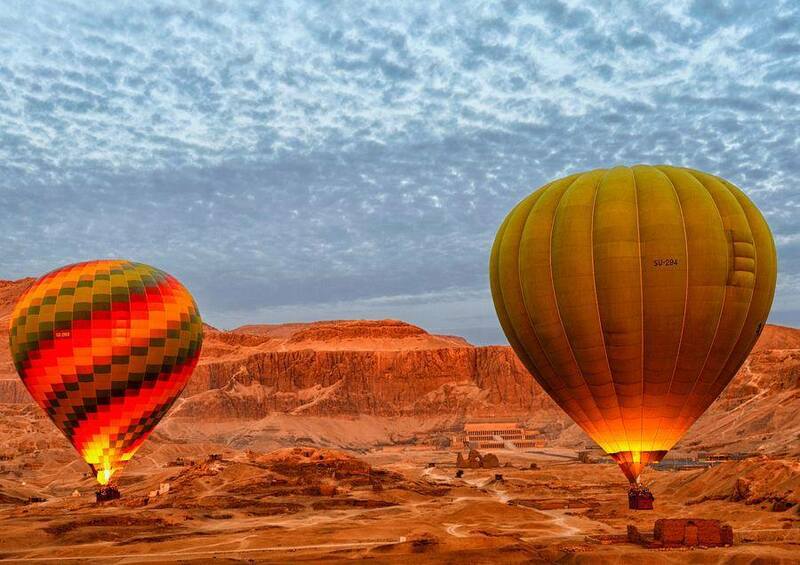 Egypttravelcc tours You will be picked up early in the morning for your hot air balloon ride. You will be taken to the marina to enjoy soft drinks before your motorboat ride to the West Bank, where your take off area is located. Your 45 minute flight above the biggest open air museum, Luxor. At the end of the tour, you will be taken back to your hotel. For larger groups, please inquire. The Balloon is scheduled to take off at 5:30 am and the ride takes 45 minutes. Departure time may vary depending on sun rise time. Pick-up time can be anytime from 05:00 and 08:00 and takes place 45 minutes before take-off scheduled time.